I heared of the wonders of Madeira years ago and really wanted to go, one day. That one day was this easter, so just now. We are just back from a one week visit to the island and we have really enjoyed it. So, guess what: there will be lots of images from Madeira to come. 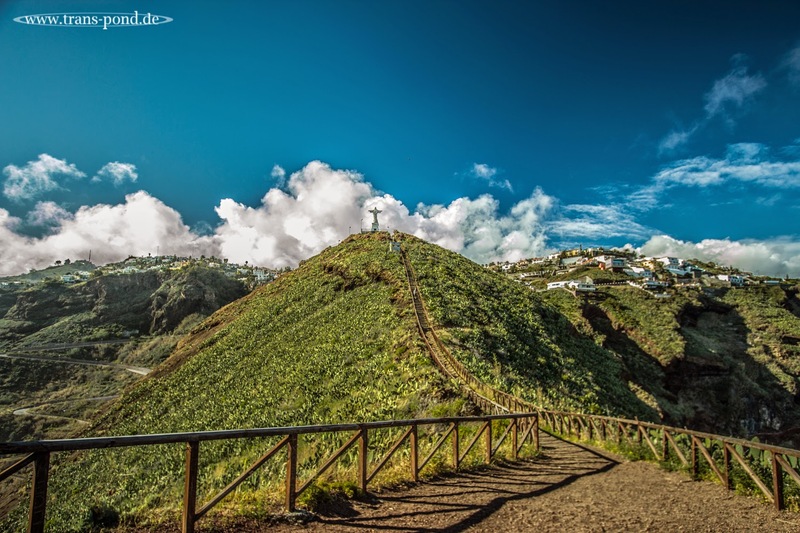 The first one is of the statue in Garajau (Canico), southern coast, just east of Funchal. Before I went to Portugal, 2 years ago, I thought that this statue was in Rio de Janeiro, only. Now I saw 2 other ones. One across from Lissabon, one on Madeira. I will need to research on their tradition.